When exploring food in Barcelona I often focus on paella, my favourite dish. My pleasure is double, while I enjoy eating it, I am also curious to try paellas prepared by different chefs as each paella is unique, as well as to find the best paella in Barcelona. Being from this city, I usually go to have paella with friends or family on Sundays. I am not, in any aspects of my life, a traditional person but as far as gastronomy is concerned, I have the greatest respect for tradition. 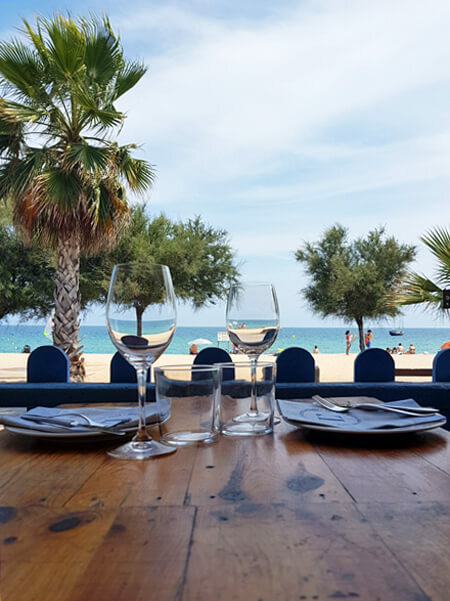 While searching for that amazing paella in Barcelona and surroundings I have been several times to L’Estupendu, a restaurant where you can eat a delicious paella by the beach while enjoying stunning sea views in a local atmosphere, which, as we know, is difficult in Barcelona. L’Estupendu is located on Badalona beach, some 10 km away from Barcelona. This should not prevent you from missing this amazing experience. Travelling from Barcelona city centre only takes 30 minutes. 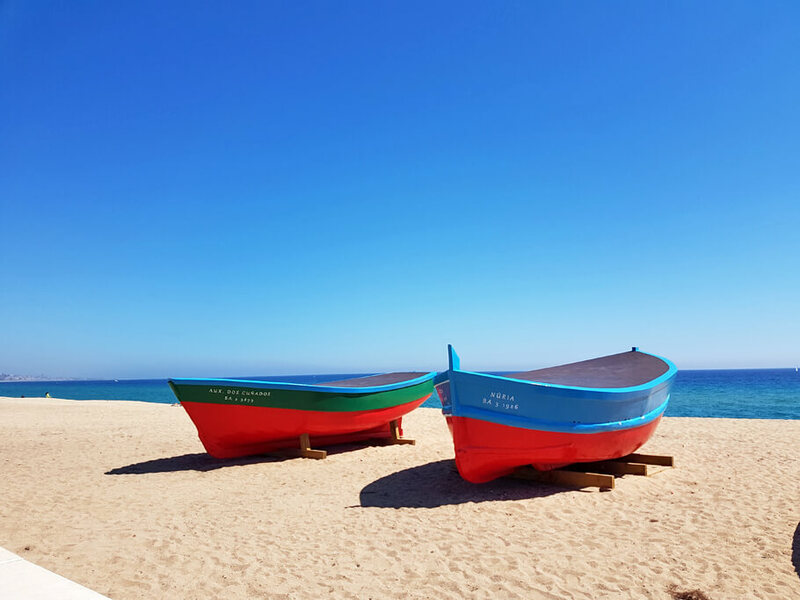 Badalona train station is by the seaside and on your way to the restaurant you will be able to see some colourful old fishing boats aground on this part of the beach. 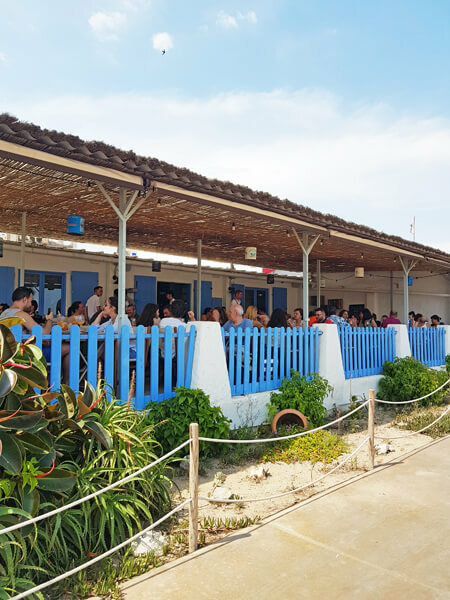 It will take you 16 minutes to get there by train and then a 10-minute walk on the beach to get to this charming restaurant. You will find address and directions at the bottom of the page. L’Estupendu is not a small restaurant, but no worries it is divided into four welcoming different lovely areas. The terrace with views of the sea is magnificent. Eating here is taking a trip down memory lane and living again one of those Sundays of our youth with good paella, good wine, the beach, the sea breeze… except for digging our feet in the sand, it feels like being on one those restaurant terraces in the old Barceloneta, before 1992. 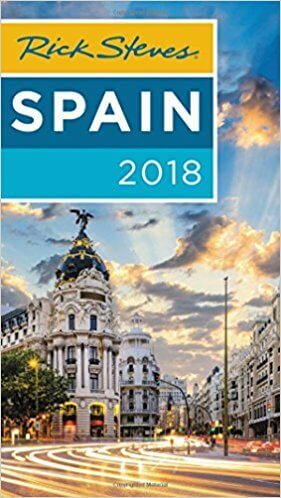 Though the city is famous for its modern restaurant scene, up until 2017 it was still missing one prestigious mark, a 3-michelin star restaurant Barcelona. 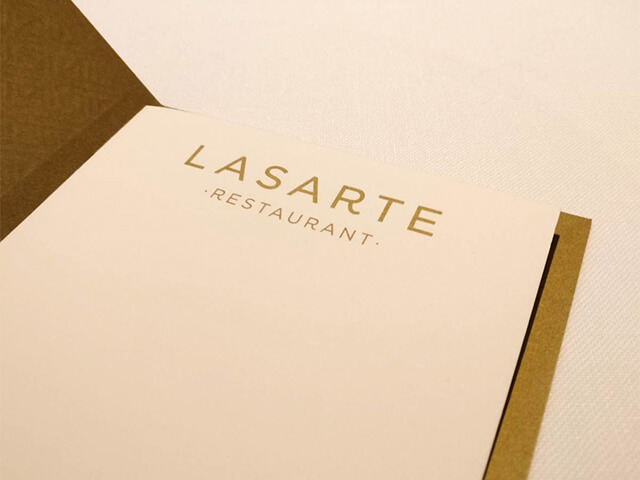 This changed when renowned Basque chef Martín Berasategui received a third star for his cuisine embassy in Barcelona – Lasarte, making him the Spanish chef with most Michelin stars. One year after that historical event we went to check what the buzz is all about and had an unforgettable lunch at one of the top restaurants in Barcelona.